Welcome to BSL Auto Center, your pre-owned car dealer in Redwood City. 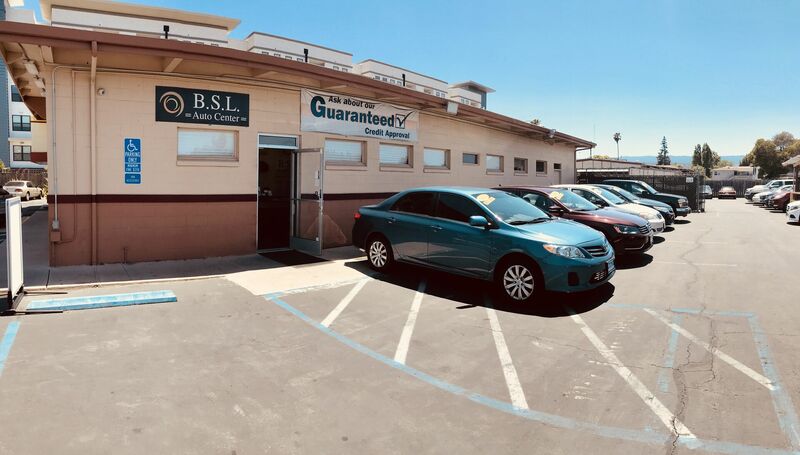 At BSL Auto Center, our goal is to serve you. Our friendly staff works with you to help you get into the car that you want. We are knowledgeable, well-trained, and always willing to go the extra mile for our customers. Browse through our huge selection of vehicles, and find the one that suits you best, or come see our inventory in person. Our commitment to you doesn’t end when you drive off the lot, because we stand behind every vehicle that we sell. We can even work with you regardless of your credit situation. With our in-house financing program, we can get you financed even if you’ve been turned down before. You deserve to drive a reliable vehicle, and that’s where we come to help. So if you are shopping for your next car, truck or SUV, come to BSL Auto Center in Redwood City.